Click Start > type cmd and press Enter. So type cd.. and press Enter, it will move you one level up. I could do it at the beginning as well, but I wanted to show you few other steps like going up one level in the directory path at a time. Now you will find both the mytest.csv and mytest.txt files in the ExcelTest directory. Click them to open – csv files open in Excel and txt files open in text editors. The files are now saved in your ExcelTest directory. Click them to open. 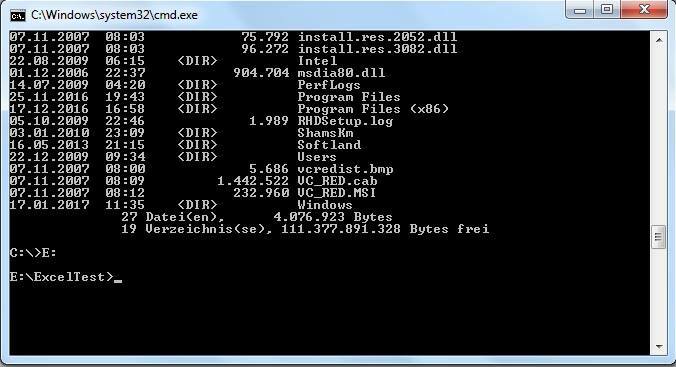 It will clear all the contents from the dos command prompt. cls stands for clear screen.